These 25-packs of carabiner badge reels let you easily and securely attach your photo IDs to your clothing. 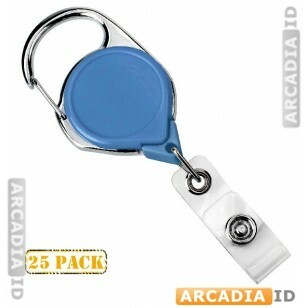 The provision of both a carabiner and belt clip makes these highly versatile. Take a look around our other listings for different kinds of belt clip in a range of pack sizes. You can depend on us for the best value and quality.